Some things just stand better on their own. Chilaquiles Divorciados is one of them. I heart everything about them…especially the name. 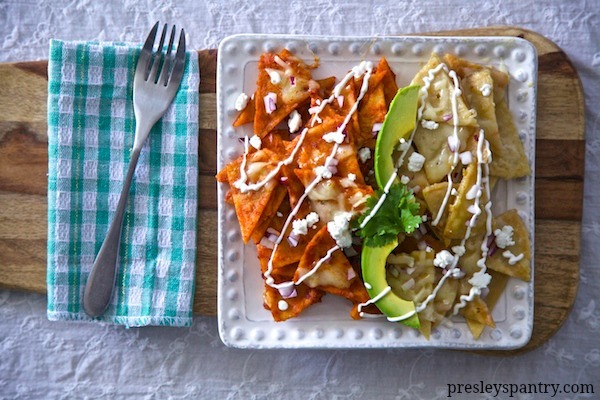 Two completely different chilaquiles that decided to throw in the towel on their union and disconnect whole heartedly. One hot and spicy “Chila” stands in all her red distinction , and the other easy going and smooth “Quiles” swims in his pool of green chile. Two separate dishes plated together but each making a different statement on their own. Making the divorced dish is almost easier than making them whole. I wanted to make them from scratch using homemade corn tortillas. 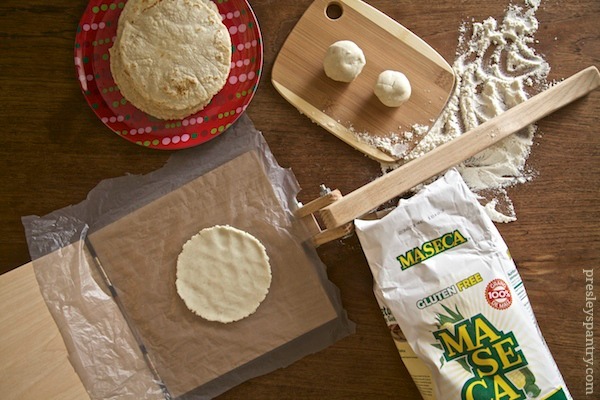 I pulled out my bag of Maseca and got my tortilla press out so I could flatten the masa into perfect discs. Cooked them up on a comal, and let them cool overnight in the fridge. The next day I cut and fried the tortillas of the dish together and at the last minute I allowed them to take a new path solo. One took the red way and the other took the green way. 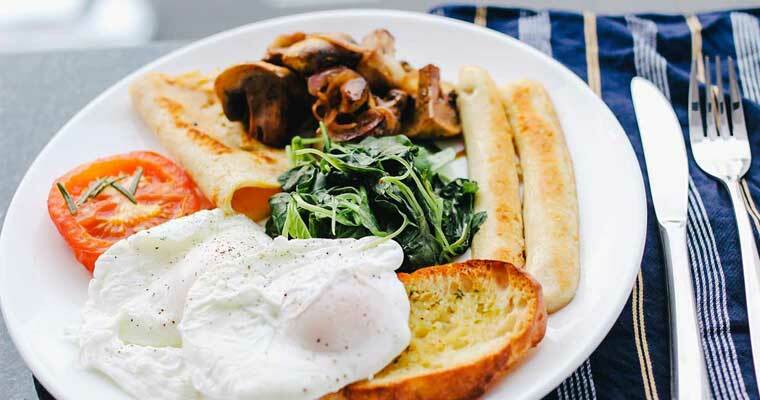 For the lucky person sitting in front of the plate, this is the most ideal scenario. The eater gets to savor the best of both worlds and both “Chila” and “Quiles” can gracefully keep their own identity. Tortillas: Mix maseca, salt and water together using your hands. Divide dough into 16 equal round balls. Press in a lined with plastic tortilla press. Cook on a comal for 1 minute on each side. Allow tortilla to cool completely, and store in a ziplock over night in the fridge. Red chile: Fry onion and garlic cloves until golden brown. Set to the side. Boil red chiles until soft for 35 to 40 minutes. Place onion, garlic, red chiles (stems removed), and salt in a blender along with 1 cup of water. Blend until smooth. Remove from blender and strain through a sieve. Place to the side. Green Chile: Fry onion and garlic cloves until golden brown. Set to the side. Boil tomatillos, and yellow and green chiles until soft for 35 minutes. Place onion, garlic, chiles (stems removed), 1 cup of water, vinegar, chicken bouillon, and dried oregano into a blender. Blend until smooth. Remove from blender and strain through a sieve. Place to the side. Cut cold tortilla into triangle pieces. In a large frying pan add vegetable oil and allow to get hot. Fry tortilla triangles for 5 minutes on each side until golden crisp on both sides. Fry until all tortilla triangles are done and are now chips. Remove from oil and drain on a paper towel lined plate. Divide the chips in half. In one pan over a medium flame add half chips and 1/2 cup red chile sauce. In another pan over a medium flame add half chips and 1/2 cup green chile sauce. Top each pan with 1/4 cup pepper jack cheese. 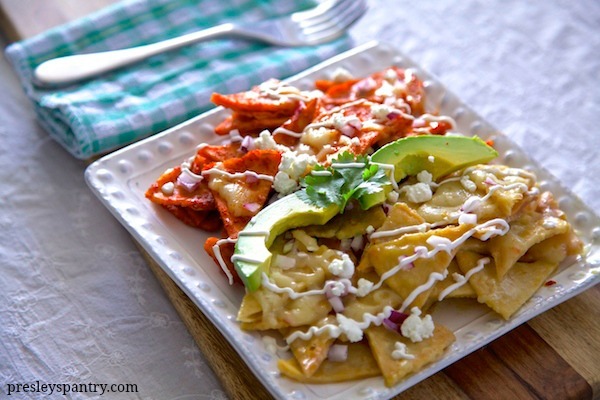 Plate the two chilaquiles side by side and top with queso fresco and red onion. Avocado and creme also go nicely on the top of this dish. Disclosure: This post is sponsored by Maseca. However all the recipe and opinions are my own.